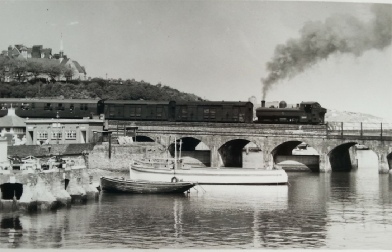 'Southern Queen' moored in the foreground with Pannier no.4630 working hard on the viaduct. Photo Dennis Ovenden. 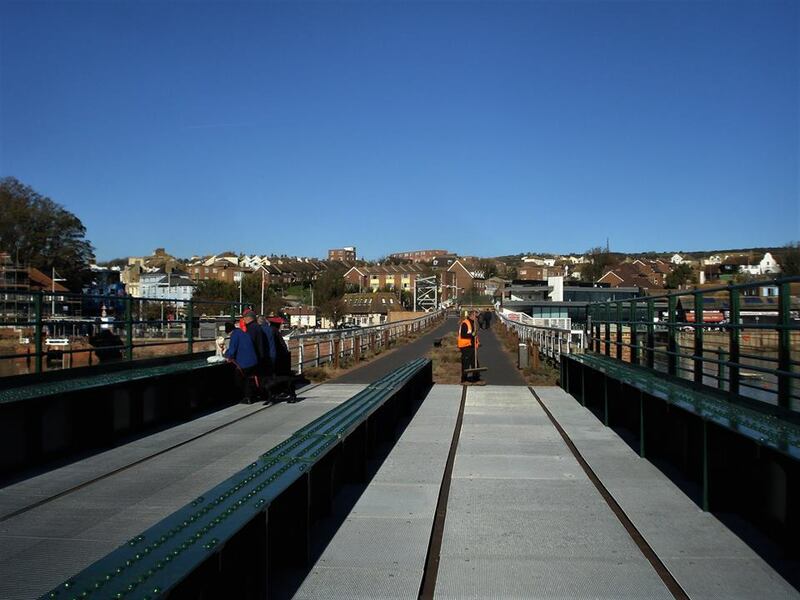 The new walkway/track over the swingbridge by Folkestone Harbour Company. Photo A. Cadier. Nov '17 - Latest 'developments' at Folkestone Harbour. 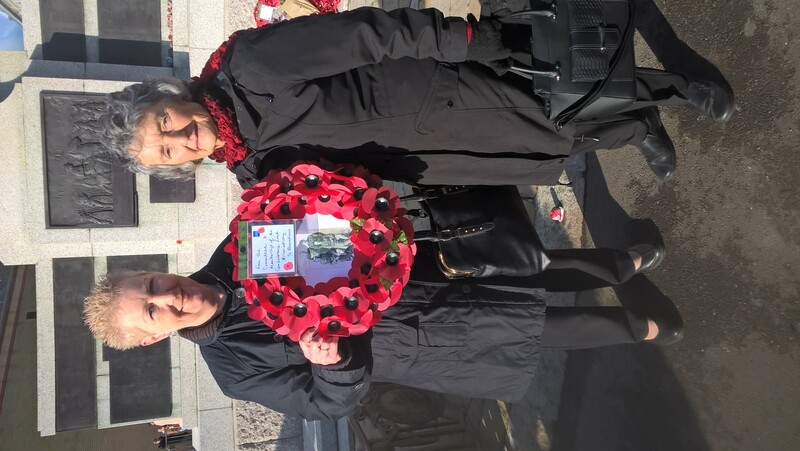 Even though this news section has been silent for around a year, the Remembrance Line Association has continued with its monthly meetings apace. Earlier during 2017 the RLA committee was consumed with dealing with the implications of Folkestone Harbour Company's Harbour Revision Order and the perceived consequences for the harbour branch. 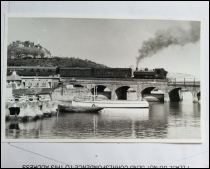 However in spite of the Harbour Company receiving their Harbour Revision Order with impunity -the railway infrastructure has survived - actually incorporated into the harbour area improvements. 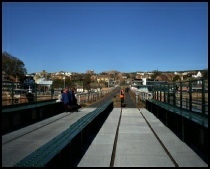 Even the rails have been left in position and the main station canopies restored after a fashion , but nonetheless to a high standard as with the viaduct over the water,the swingbridge and previously the harbour arm itself. 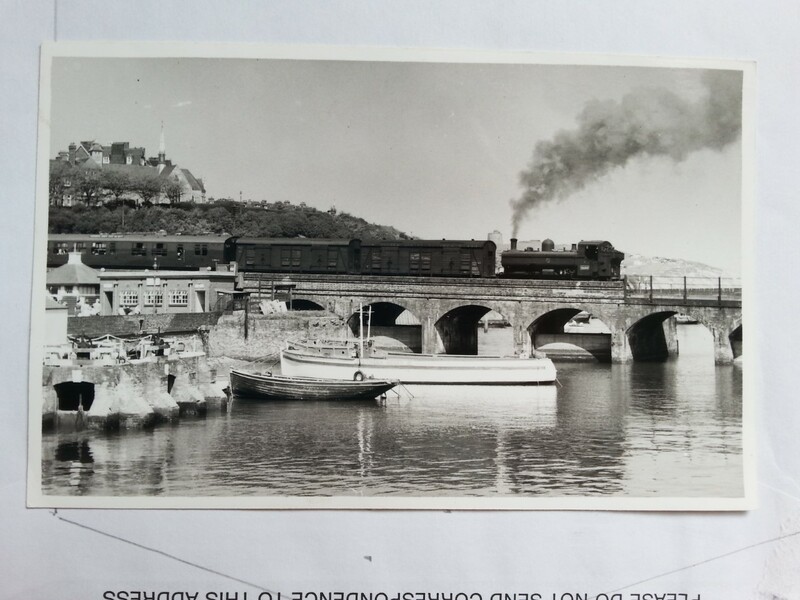 Photo - Dennis Ovenden The Photo below depicts what we believe is 'Southern Queen' in the foreground during 1959. In the background is ex Western Pannier no 4630 hard at work on the branch line. Remembrance Line Association members, friends and supporters - as it is now well and truly in the public domain and we are delighted to announce that we have created an exciting opportunity to acquire the Folkestone Harbour Line between Folly Road level crossing and the Folkestone Harbour Company boundary adjacent to Radnor Street. 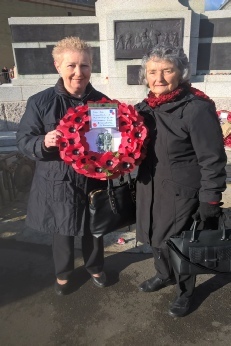 We have the backing in principle of Folkestone Town Council who agree with our intentions for the line which are based around:-1) Community Transport 2) Community Benefit. 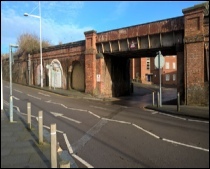 We hope to commence negotiations with Network Rail Property Division within a couple of weeks. Need we say, even though we have available funding, we cannot afford to rest on our laurels. We need to considerably boost our financial reserves and levels of practical assistance in the very near future. Just dealing with the authorities alone is a very expensive business. We cannot go into too much detail at the moment before we establish the exact demise boundaries. 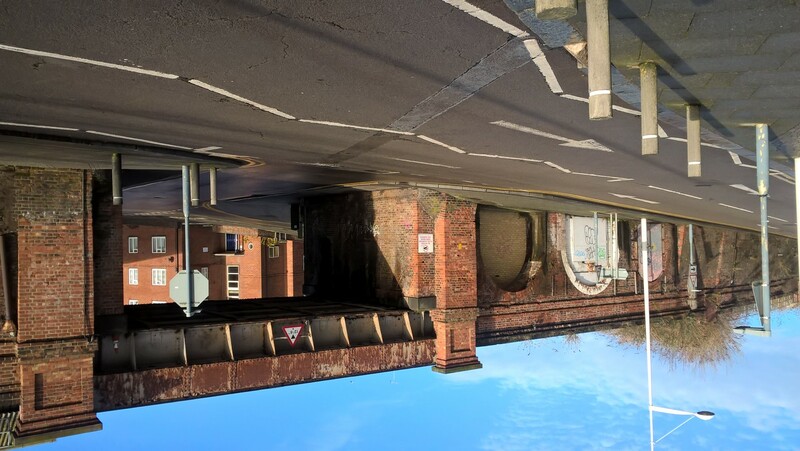 What we can say is that as well as the railway formation which is about level with Tram Road the parcel of land includes a large section of the land bound part of the viaduct. Whatever happens initially there's still a way to go, with many issues to deal with - yet here we are after a 10 year slog. Thank you to all who have kept faith with our campaign and helped keep RLA alive and kicking and made way for our first genuine chance to bring current plans to fruition. We are now in a position to publish a plan of the entire site which we propose to acquire and believe is included in the relevant demise. A good proportion encompasses much of the land bound section of the viaduct including the steel bridge over Radnor St., which will require complete restoration. Expensive ? Yes - we exist to raise whatever funding is required.  Exciting Times - News will be published on this page as it happens. In the meantime our colleagues out at Sellindge from the Kent Coast locomotive Group have been dusting down the Folkestone Harbour running in board which we displayed on the harbour signal box for the final two steam tours to visit the branch back in 2009. It's a remarkable artefact and preservation survivor-still bearing the scars of having been used as part of a pig pen at nearby Lyminge! Amazingly it was accompanied by many other station signs from Folkestone and the Elham Valley Line- all sharing this dubious honour! Thankfully they were all rescued. 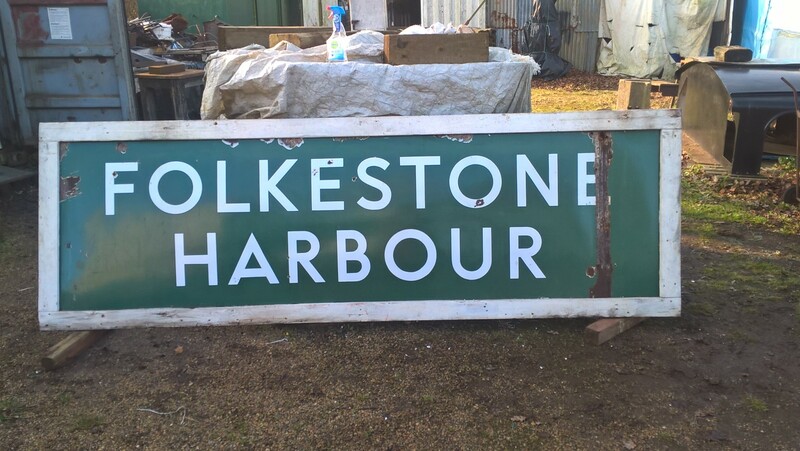 The Harbour sign is owned by RLA member Colin Mitchell who has generously loaned it to us for the duration. The Folkestone Railway Social Club,Canterbury Rd.,Folkestone, Kent CT19 5NG. Meetings are held on the last Tuesday of each month, in their back room. Please arrive at 19.15 for a 19.30 start. Ample car parking is available to the rear of the building. Please bring your membership card.